Johsa Manzanilla is a proud member of Group 19 in Winnipeg. She attended the Human Rights College in Montreal during AI’s 50th anniversary year and shortly after became AI Canada’s Philippines Country Coordinator. She was elected to the Board as a Director at the 2013 AGM. Born on the islands of the Philippines and raised in the desert of Saudi Arabia, she is the daughter of overseas Filipino workers who eventually immigrated to the prairies of Manitoba. She considers herself an anti-imperialist, and devotes much of her activist efforts campaigning for the rights of migrants and immigrants, as well as issues that affect true freedom from poverty, corruption, and systemic oppressions on women’s rights, access to health and education, sexual expression, and the right to livelihood and safe and fair working conditions. She received her undergraduate degree from Queen’s University and went on to complete a Master’s specializing in Human Rights, Social Justice and Development from the International Institute of Social Studies at The Hague, The Netherlands. 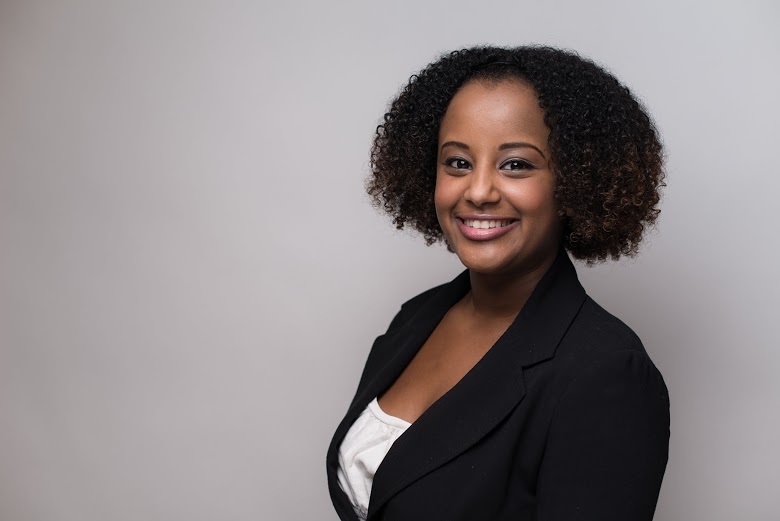 Johsa is currently employed as a Researcher and Program Analyst with Employment Solutions for Immigrants Inc., licensed to deliver the Manitoba Start Program, which seeks to help and guide newcomers seeking to enter the labour market through employability skills workshops, career coaching and settlement support. Partnering with national academics, as well as in working with both local and international groups like Migrante International, the Migrant Workers Solidarity Network, Gabriela, ANAK (Aksyon Ng Ating Kabattan), LEAF and the national young feminist movement’s Rebelles collective, Johsa has developed strong skills in grassroots, member-based capacity building, strategic organizing and consensus-based decision making. 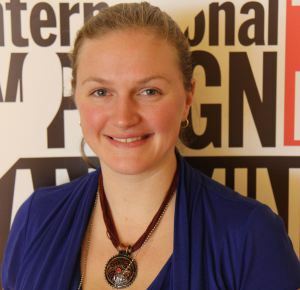 With over 15 years of advocacy, research, and management experience in the field of human rights and international disarmament, Jackie Hansen is the campaigner covering major campaigns including Stop Torture, as well as gender rights, for Amnesty International Canada (English) at the National Office in Ottawa, ON. 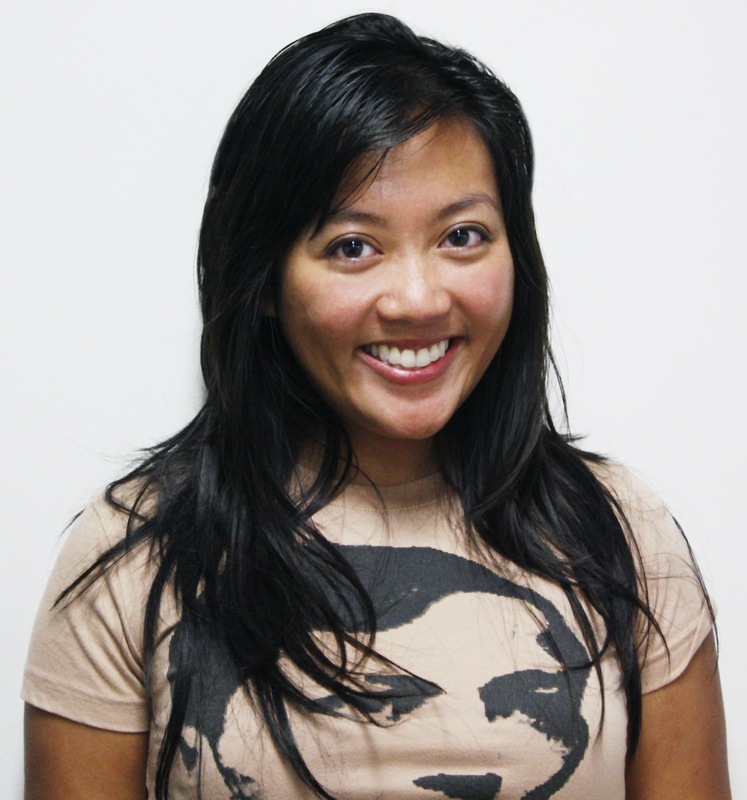 Jackie joined Amnesty in February 2013. She previously worked with the International Campaign to Ban Landmines and the Cluster Munition Coalition. This included eight years as the Program Manager of Landmine and Cluster Munition Monitor, a program renowned for providing independent and impartial reporting on developments and challenges in eliminating victim-activated weapons. Having lived and travelled extensively overseas, Jacqueline finds tranquility in spending time with her family and raising dairy goats on her small homestead in Quebec’s Gatineau Hills. She has a degree in Anthropology and Political Science from the University of Victoria. Lily Mah-Sen, a trained popular educator, facilitator, and social activist has been involved in social justice work for the past 40 years (yes! she’s THAT OLD!) Her area of expertise is in using popular education methodology to empower people to social action. In her many wonderings around the world, she’s used popular education techniques working with village elders in Papua New Guinea, sustainable agriculturalists and environmentalists in northern Thailand, development aid workers in Botswana, social analysts in Zimbabwe, and social activists in the Canadian Prairies. Lily has taught high school and worked on curriculum development in Papua New Guinea; taught English as a Second Language in a workplace program with immigrant women in Edmonton; and worked with the Edmonton Native Brotherhood on an inner city experimental film project. Her theatre experience includes working with playwrights on developing social drama and helping to organize the Canadian Theatre Festival in Edmonton. In her spare time, Lily “moonlights” as an outside facilitator helping non-profit organizations renew, restructure, and deal with organizational change. In this capacity, she has facilitated meetings organized by Oxfam Canada; the Agha Khan Foundation; the Canadian Council for International Cooperation; the Social Action Committees in Lethbridge, Medicine Hat, Calgary; the Union of Child Care Workers of Eastern Ontario, CUPE 2204; the Laotian and Cambodian community of Ottawa, as well as guest lectured on culture and mediation to first year law students at Ottawa University and to international development students at Carleton University. In Amnesty, Lily is part of the Member Activism Team, with responsibility for providing support to community groups, action circles, and fieldworkers. She is also the staff person supporting membership meetings (regional meetings and the AGM) and membership consultations. Within Amnesty International, Lily has facilitated workshops on Diversity and Amnesty for the Amnesty Chairs Forum in Portugal (June 2006), Co-organized and facilitated sessions at the Amnesty’s Inter-Sectional Meeting on Grassroots Activism in France(2005) and Motivating Change for Amnesty and Oxfam volunteers in Quebec (2004). Lily has a Masters of Management for the Non-Profit Sector degree from McGill University, is the author of two books on popular education and has designed three simulation games on the topics of Indigenous land rights, diversity, and power structures in the North and South. Her biggest challenge, so far, has been trying to train Sylvester, her cat, who refuses to be facilitated, no matter what technique she chooses. Darlene R. Okemaysim-Sicotte, is a Cree from Beardy’s & Okemasis First Nation near the town of Duck Lake, Saskatchewan, and was educated at Rivier Academy in Prince Albert and the University of Saskatchewan. She is an extremely hardworking in any work place but her devotion is to family and dedicates that other part of her life with showing much love and support. Darlene’s past experiences in the workplace include Executive Assistant at Saskatchewan Indian Institute of Technologies, Departmental Secretary at U of S Native Studies, and One Earth Farms FN LP. 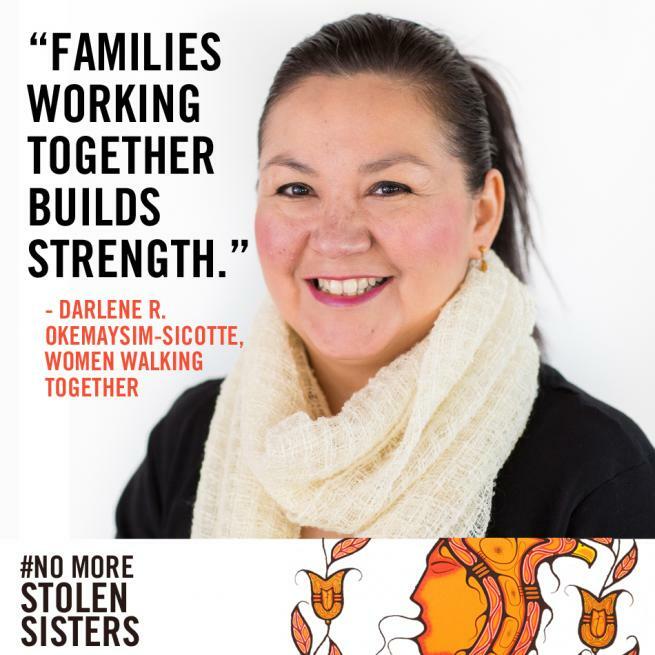 Darlene is also a 7 year member of the local concerned citizens group Iskwewuk Ewichiwitochik (Women Walking Together) whose focus is on missing and murdered indigenous women. Darlene received the Queen Elizabeth II Diamond Jubilee Medal in January 2013 for this volunteerism. She currently lives in Saskatoon with her husband Chris Sicotte and mother to Christopher, Cory, Aren and Sunflower all of whom enjoy the local and provincial arts scene. Crystal Giesbrecht has been a volunteer Fieldworker with Amnesty International Canada since 2012. She first became involved with Amnesty in university and is also a member of the local Regina community group (Amnesty Group 91). Crystal has been involved in planning all three of the Get Active with Amnesty Saskatchewan Regional Conferences. One of Crystal’s goals as a Fieldworker is to encourage individuals from around Saskatchewan to get (more) involved with Amnesty. In September, Crystal had the opportunity to join other Amnesty International Canada volunteers and staff on a trip to Mexico City for their regional activism conference. This provided a valuable opportunity to learn more about torture and other human rights violations in Mexico as well as networking with Amnesty activists across the Americas. At this conference, Crystal participated in a panel discussion on the Rights of Indigenous Peoples. Crystal completed her university studies (BA, BSW, MSW) at the University of Regina and has been involved in non-profit work and volunteer activism in Regina since. Her work is primarily centered on violence against women and woman’s human rights. Crystal is a Registered Social Worker and is the Director of Member Programs and Services at the Provincial Association of Transition Houses and Services of Saskatchewan (PATHS). PATHS is the provincial association for 19 transition houses, second stage shelters, and counselling and support centres across Saskatchewan. As well, she works as a Domestic Violence Counsellor at Regina Transition House on a casual basis, and sits on the board of the Regina Sexual Assault Centre. Lee is an Amnesty International Youth Activist who has been involved with his community group, Amnesty International Community Group 19 Winnipeg since his first year beginning university. In his five years of involvement with the movement, Lee has worked across the local, national, and now the international level. Locally he chairs the local community group, networking with university and high school groups while coordinating Winnipeg’s’, small but dedicated local activists. At the national level, he has participated in one, and helped plan two National Human Rights Colleges, with planning for his fourth HRC in its early stages now. Most recently, at the national AGM in June 2014 Lee was selected to be the Amnesty International Canada youth delegate to the International Council Meeting (ICM) happening August 2015. 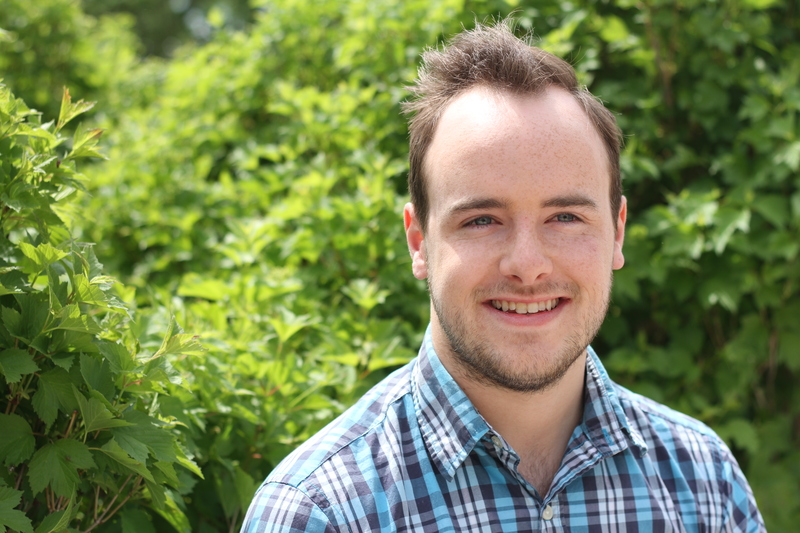 For work Lee is an elected representative at the University of Winnipeg Students’ Association, and is in his second year of involvement with the student movement in Manitoba. Maria is an Amnesty International Youth Activist who has been involved with Amnesty International Community Group 91 for the past two years as well as the University of Regina Amnesty International Group. In her past years of involvement, she has participated in local activism through letter writing, promoting campaigns, giving presentations to schools, as well as doing some radio involving Amnesty. In 2013 she participated in the HRC (Human Rights College) as well as attending the Annual General Meeting in Ottawa. There she learned to foster many essential activism skills and learned a lot about the organization as a whole. After the HRC, she has become even more inspired with local activism and is involved as much as she possibly can. Maria is an elected representative at the University of Regina Student Union as the Women’s Director and is also involved in several clubs and committees at her university. Chandra McIvor joins us from McGill University with a degree in Education and International Development. Since returning home to Saskatchewan two years ago, Chandra’s goal has been to ensure our school communities are safe, caring and inclusive spaces for all diversity, with particular focus on our gender and sexually diverse (GSD) demographic. Since her return, Chandra is credited with establishing Saskatchewan’s first youth empowerment group specifically for GSD youth and allies, creating and delivering the province’s first division-wide professional development curriculum for school staff with respect to GSD inclusivity through her partnership with the Saskatoon Public School Division, and making progressive initiatives a reality in our political arena with respect to GSD related issues. One such example is her work with MLA Ms Jennifer Campeau and the Ministry of Education, where at the release of the Sk Anti-Bullying Action Plan she was identified as a key consultation partner. These initiatives garnered Chandra a CBC Future 40 Under 40 Award, as well as a prestigious Women of Distinction Nomination Award. Recently Chandra is finding herself more widely sought on all levels of our political and educational societal spheres, and is working with individual schools, school divisions, teachers associations and politicians across the province to ensure our schools and communities are safe, caring and accepting spaces for all diversity. Her current focus is on the role of public education in creating anti-oppressive spaces, and advocating for GSAs (formerly known as gay-straight alliances, now commonly referred to as gender and sexuality alliances) to be legislatively supported in high schools across the province. Libby Jeffrey is the Vice President of AI Group 91 (Regina). She obtained her undergraduate in International Development from the University of Winnipeg in 2013, and since then has continued pursuing her interests in the field through volunteer work with Amnesty International, the Red Cross, and as an advocate with the Regina Sexual Assault Centre. Libby is particularly interested in international migration. In addition to having lived in Regina, Winnipeg and briefly in the Northwest Territories, her interests have also moved her to live in Benin and Ireland. She currently works at the University of Regina’s Institut français.